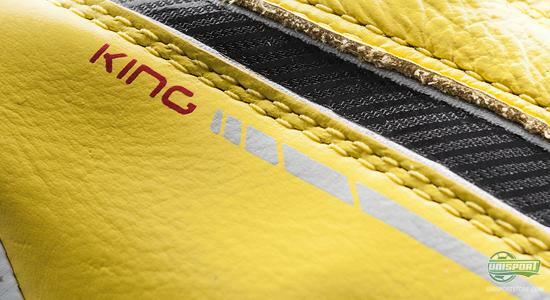 The curtain has just been lifted from the latest generation of possibly the most famous and historic boot-range ever: Puma King. 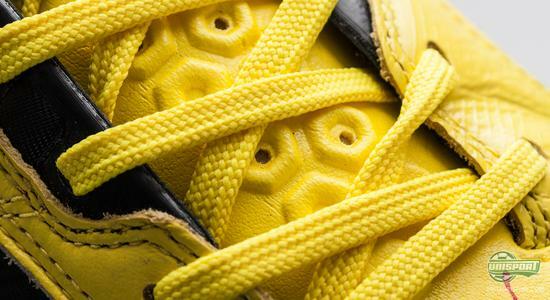 It lands in the eye catching yellow/Black colourway, that will be worn by Manchester City's midfield general, Yaya Toure, who will benefit from all the new technological additions. The German brand has updated their oldest and without a doubt, most iconic football boot, the classic Puma King. It has been the companies Flagship for as long as we can remember and it's through all these years been famous for its simple design, however on the latest generation, Puma have taken their precious King model on to the next level, with new exciting technological advances, but still without compromising on the qualities, that have made this phenomenon what it is. 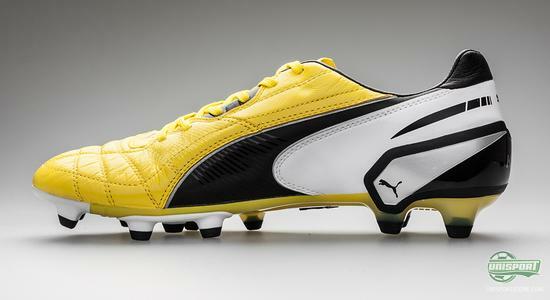 - It's the Puma King! 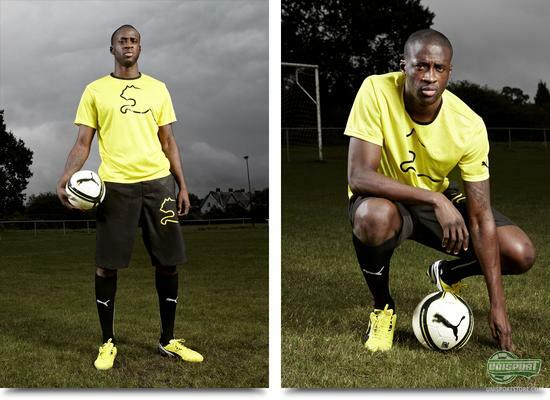 Yaya Toure will definitely be the leading light for the boot and we may even be able to see the midfield muscle-man, show his hallmark attribute; control, in the weekends round of football, while wearing the new Puma King. Further he will be joined by other Puma players like; Michael Carrick and Mikel Arteta, that will also be expected to début the boot this weekend. Like we are used to with the Puma King, then it has a delicious upper made of the highest quality leather, but like we have also seen it on the Puma Powercat 1.12, then the Puma stripe and heel have been made with microfibre. 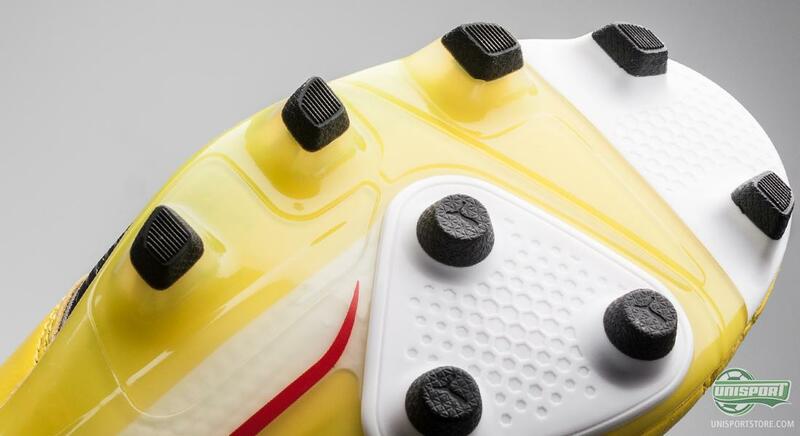 This is a new development that is getting increasingly popular and gives the necessary stability around the midfoot, as well as, it keeping the weight as low as possible. 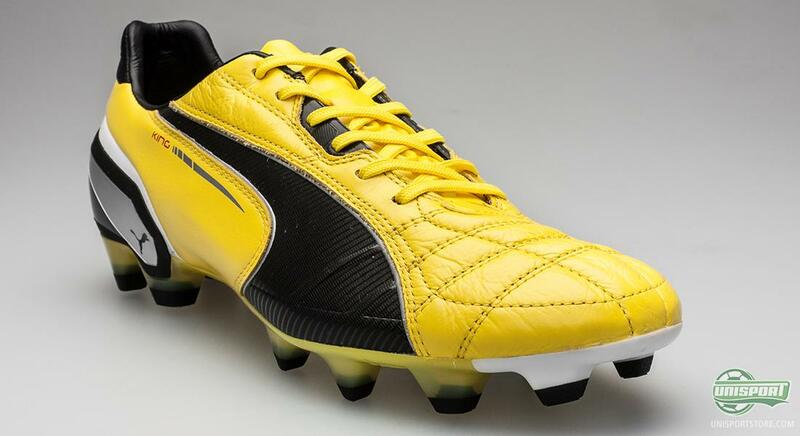 Puma have gone away from the idea of using kangaroos leather, because of the environmental repercussions and have instead found a new type of leather, that has the same performance as the classic kangaroos-leather. 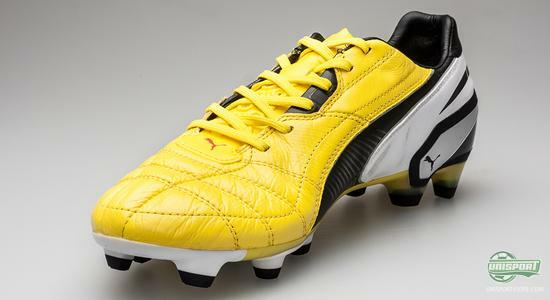 Shaping itself to match your foots curvatures and specific features, it has the same properties as K-leather, but at the same time it is also far more durable than kangaroo's-leather, so you can be sure that your Puma King will be a boot to rely on, for a very long time. 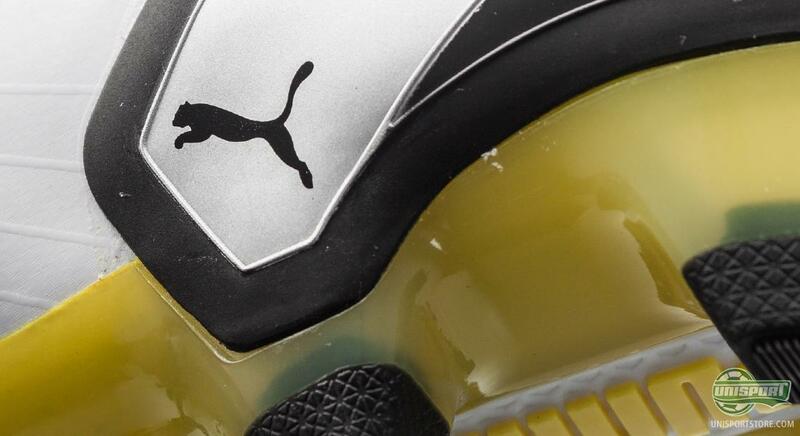 Something that has been a trademark for the classic Puma King, has been the tongue, that could be pulled over the lacing. 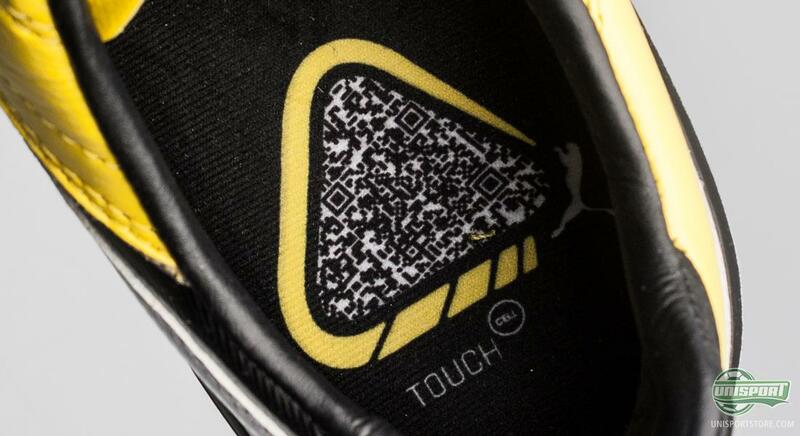 It's been removed, but this is far from a downgrading of the boot, because the replacement is extremely competent. 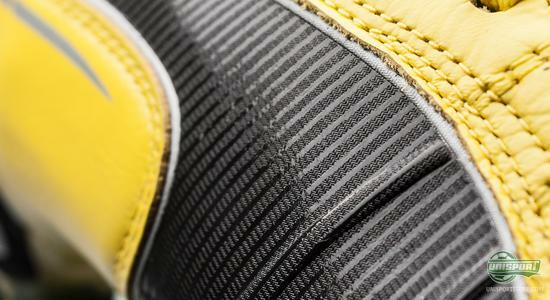 On top of the instep there have been punctured holes in the new tongue, that give improved breathability and further up, Puma have implemented two cushions of 3D-foam, that prevent the lace from digging into your foot, so you get much better comfort. 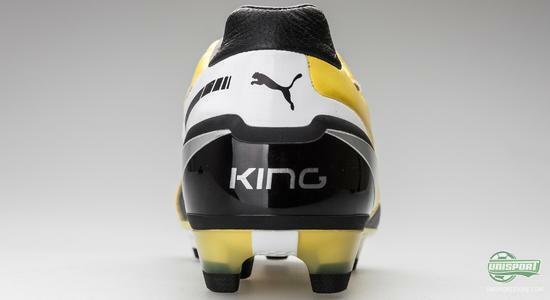 Puma King also comes with a mixed SG stud configuration, something that has become increasingly popular over the last few years. 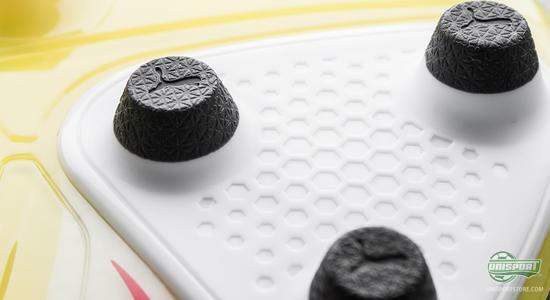 It combines the softer FG studs with the harder SG studs, in order to provide you with the best possible pitch grip on wet surfaces, without compromising either comfort or stability. 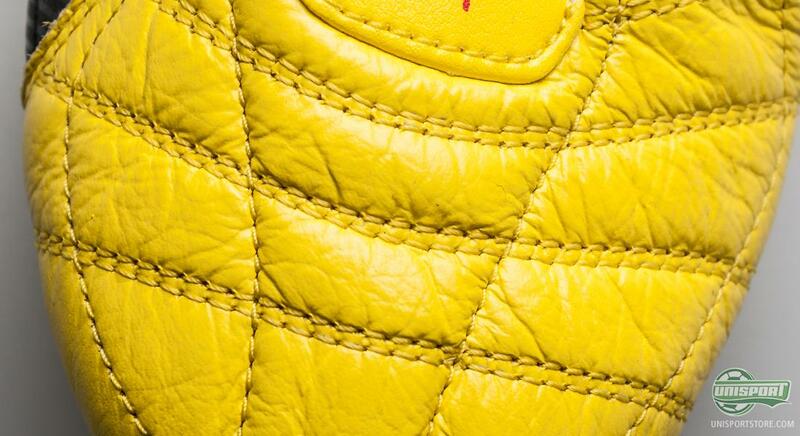 You can pre-order your pair of the Puma King Yellow/Black right here with expected delivery primo January 2013  just 170. The new Puma King is a part of the new TouchCell, together with the Powercat 1.12 in Powercell and evoSPEED 1 in SpeedCell. The focus is on touch and control, and if you ask us, there is no doubt. Puma King delivers in a big way and combines classic virtues with a new and fresh design and clever technologies. 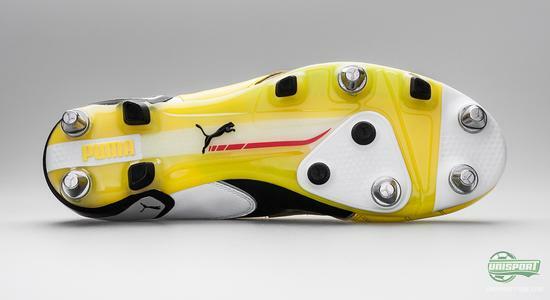 What do you think of the latest puma King generation? Feel free to share your thoughts in the comment box just below.